Welcome back to school after our midterm break. As always we have a busy half term ahead of us starting with parent/teacher meetings next week. Senior Infants and Rang 2 will take place on Tuesday, 14th and Wednesday, 15th. Junior Infants and Rang 4 will take place on Thursday, 16th and Friday, 17th. PA Quiz night is on Thursday, 16th November from 19h00 in the Hill Pub! All welcome! Get studying and organising teams of up to 4. If you don't manage to get into a team ahead of Thursday - don't worry - you will be organised into a very clever team on the night!!! Remember - you are playing for class prizes!!! There is a big raffle on the night. Raffle prize donations can be dropped to the gate next week to ticket sellers, or brought on the night. Thanks in advance for all the support! The Department of Education has now confirmed finally to Educate Together that the permanent site for the new Dublin South City Educate Together Secondary School will be in Roslyn Park in Sandymount. For the first year students starting in September 2018, the school will be in temporary accommodation in Dublin 4. We are hoping that this temporary location will be confirmed to Educate Together in November. 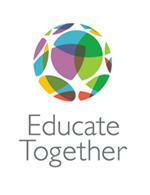 Educate Together will be holding an information evening for parents and students in the coming weeks. More updates on our Facebook page! RMDS hall still has some availability to rent throughout the week and weekends. Do you know of any groups who may be interested? 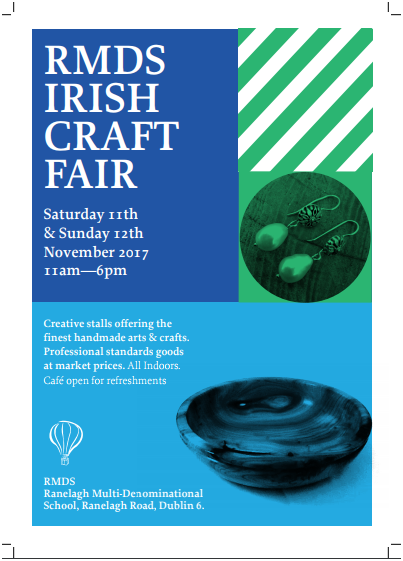 If so please contact Maurice Devitt at hallrental@rmds.ie for more info.